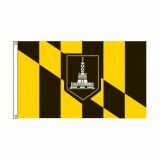 Tuff Flags features City Flags for many American cities including Baltimore, Boston, Chicago, Indianapolis, Los Angeles, New York, and Washington, D.C. Made of heavy duty nylon and finished with brass grommets for easy display, our city flags made in America will make a cheerful way to celebrate your city pride. 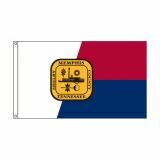 Great for highlighting your heritage or favorite city to visitors and tourists, these flags can be used both indoors or flown during outdoor displays. 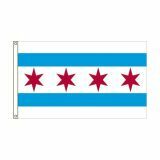 Shop from our complete line of City Flags- Custom & Stock right away and find that we have the best prices, quick shipping, and much more! 100% customer satisfaction guaranteed! 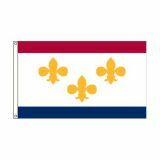 Our city flags are made in the U.S.A and vibrantly colored, our City Flags will be the pride of any home or business. 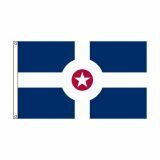 Made with heavy duty outdoor nylon and finished with grommets, our City Flags can withstand all types of weather. 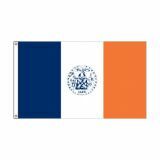 Make your city proud with our beautifully crafted City Flags. 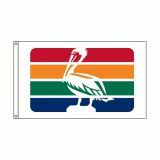 Available in various popular sizes, these flags are well suited for parades, city events and local celebrations and festivals. 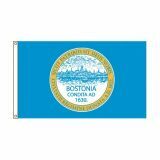 These will also make great gift items for tourists and residents alike. 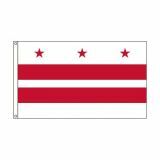 Browse our collection of City Flags to find a flag of your city. 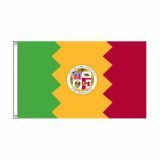 Can't find your city's flag? Call us at our toll free number (888) 287-3524 or email us at customercare@tuffflags.com for any further assistance or tips.